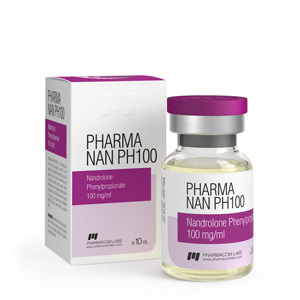 PHARMA NAN P100 is nandrolone phenylpropionate. 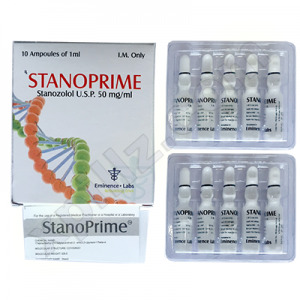 This steroid has both anabolic and androgenic properties. Since the drug weakly retains the body fluid in comparison with the decanoate, it makes sense to buy Nandrolone for combination with powerful androgens. 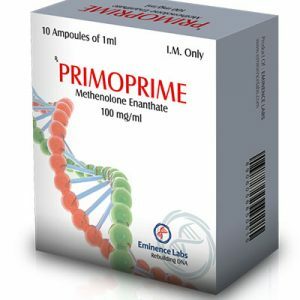 The main difference between phenylpropionate and decanoate is a lower half-life. The rapid production of protein compounds in muscular tissues, which allows not only to gain weight, but also to prevent its destruction. Increases the rate of absorption of amines. Collagen production is stimulated, which reduces the risk of injury. Synthesis of synovial fluid accelerates, thereby improving the efficiency of the articular-ligamentous apparatus. The duration of the drug cycle is a maximum of two and a half months. From 0.3 to 0.4 grams of preprat should be administered during the week, and injections are required every second day. Although pro-athletes often use higher dosages or extend the course to six months, it does not make sense for amateurs to do so. Since nandrolone has progestogenic properties, cabergoline should be added to the cycle. In addition, after a month of using nandrolone, you should start using gonadotropin in the usual way. Clomid should be taken for rehabilitation therapy. Tamoxifen will not be desirable, as it contributes to increasing the sensitivity of progesterone receptors. Also note that the drug goes well with most steroids. Among the most popular ligaments should be noted testosterone propionate, winstrol, methandrostenolone and turinabol.